This stunning book examines the collection of works by self-taught artists assembled by Stephanie and John Smither over the last thirty-odd years. 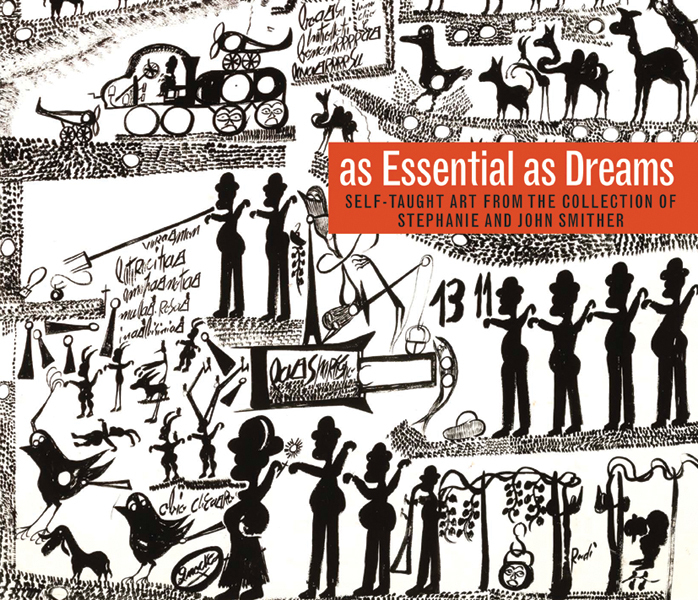 A team of prominent curators, writers, critics, and art historians focuses on key works by twelve artists, including the boisterous assemblages of Thornton Dial; brightly colored visual interpretations of the Bible by Sister Gertrude Morgan; Oscar Hadwiger’s detailed wood models of fantastical architecture; and Carlo Zinelli’s narrative tableaus of stylized figures and animals. Also featured are works by the ceramicist Georgia Blizzard; drawings by Hiroyuki Doi, Solange Knopf, Martín Ramírez, and Dominico Zindato; paintings by Jon Serl and Johnnie Swearingen; and carved wood sculptures by Charlie Willeto. Michelle White is curator at The Menil Collection, Houston.